All packages require a six month commitment, which is an industry standard. SEO is not an "overnight" fix and there is no quick way to get top rankings. In order to show significant results, we require that you stick with the package for at least six months. We'll collect your credit card or PayPal information when you complete your order. You will be billed and charged on a month-to-month billing cycle. You'll get weekly and monthly reports that will provide insight into our work, your site's progress, and your improved rankings. Our reporting process will ensure that you are 100% in the know on the status of your project. Need A Customized SEO Solution? 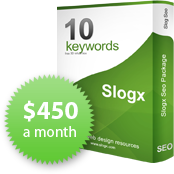 Ideal for very small companies with a limited target market that are looking to rank for just 10 low competition keywords. Ideal for small companies with a limited target market that can benefit from top rankings on 20 low competition keywords.